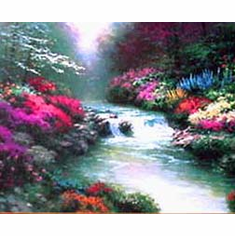 Offering a wonderful selection of wholesale Thomas Kinkade Art for Stores & Individuals. Discount Thomas Kinkade Art and discount Kinkade products are available here. Find discount pictures such as Mountain Vistas, Peace on Earth, Stonehearth Hutch, Romantic Bridges, and Night before Christmas. We carry both art pieces and gifts, including books, and other small pitchers that make great gifts. Whatever you are looking for, the Christian Discount Shop is your place for everday Christian gifts and Kinkade Art. 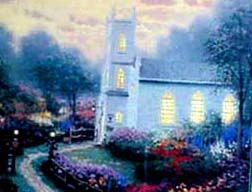 A Christian gift by Thomas Kinkade on sale or below wholesale prices would be a pleasure to all.